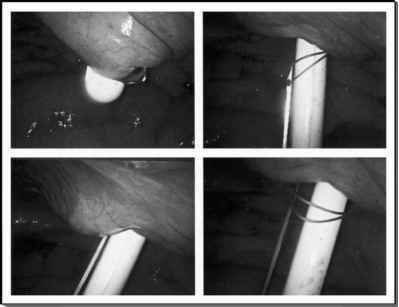 Guillonneau and Vallancien used transperitoneal access to the seminal vesicles followed by a descending radical prostatectomy starting the dissection at the bladder neck (7). The Heilbronn technique was designed to copy the standardized technique of open anatomic radical prostatectomy starting with an ascending part controlling Santorini's plexus, dividing the urethra and the distal pedicles followed by a descending part with transection of the bladder neck and transvesical access to the seminal vesicles (29). Corresponding to the experience with open surgery, the descending technique initially offers the advantage of less blood loss because of the earlier control of the proximal prostatic pedicles and the late transection of the dorsal vein complex. However, we could demonstrate that with evolution of our technique and increasing experience, we were able to decrease significantly our transfusion rate (Tables 8 and 9). In our opinion, the ascending technique offers some advantages over the descending technique, such as early identification and detachment of the neurovascular bundle and optimal exposure of the bladder neck, the seminal vesicles, and prostatic pedicles. As with other laparoscopic procedures (i.e., radical nephrectomy), initially the operating time was significantly longer ranging from 4 to 5.4 hours in the first series. If one renews all of our 1010 cases, the operating time continuously decreased, down to 3.5 hours (2.2-5.4 hours) in our last 100 cases. For the open radical prostatectomy, Scardino's group reported a mean operating time of three hours during the period 1990-1994 decreasing from 3.6 hours in the first to 2.8 hours in the last year of his study. This means that they could reduce their operating time during four years performing 472 cases by 47 minutes or 21.7% of the initial time. With our 1010 patients, we needed a five-year period (1999-2004) for a 100-minute reduction of the operating time including pelvic lymph node dissection from 5.2 to 3.5 hours corresponding to 32.1% of the initial time. This is similar to the experience of the French centers. Therefore, it can be anticipated that a further reduction of operating time will occur in all laparoscopic series of experienced centers, which will also increase the financial benefit of the operation (Table 9). The most relevant advantages of laparoscopic radical prostatectomy should be documented in a decrease of associated morbidity and shorter convalescence compared to open surgery (Table 10). laparoscopy to recent data of experienced centers already documents considerable differences with respect to the rates of early and late complications in favor of laparo-scopic radical prostatectomy. These differences are caused mainly by the lower rate of anastomotic, thromboembolic, and wound-related complications after endoscopy. Additionally, if the initial development phase, and the learning curve of laparoscopic radical prostatectomy, are taken into consideration, these differences may become even more pronounced.